Today, a lot of us spend more time on viewing, reading, searching and tagging food on social networks than on cooking. We look for fast and flexible meals, but don’t always pay attention to quality. On the other hand, there are numerous enthusiasts who always find the time to indulge in cooking, no matter how busy their lives get – bloggers, housewives, professional and amateur chefs, all passionate about their relationship with home cooked meals. To connect these two sides, Mint Media, a digital agency from Dubrovnik, Croatia, developed CookUp - a cooking revolution which uses the power of blockchain. CookUp is a food ordering and knowledge sharing platform that connects anyone who cooks with those in need of quality home-made meals. Users all over the world will be able to use it as a mobile or web application. 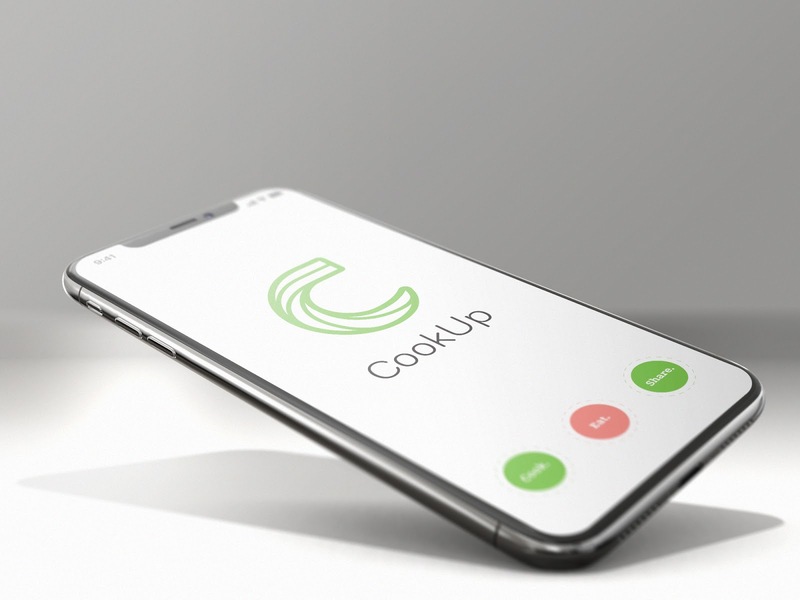 - CookUp allows users to enjoy a quality and healthy meal without needing to spend time on food preparation while allowing cooking enthusiasts to offer food, organize dining events or share knowledge and make additional income, without the need for big investments - said Ivan Ivušić, CookUp CEO. CookUp plans to position itself within the global food delivery market valued at 83 billion EUR. - Our platform enables the freedom of doing what you love, offering your services on the market and making additional income. Since nothing similar existed till now, we believe CookUp has the potential to revolutionize food preparation and consumption - continued Ivušić. 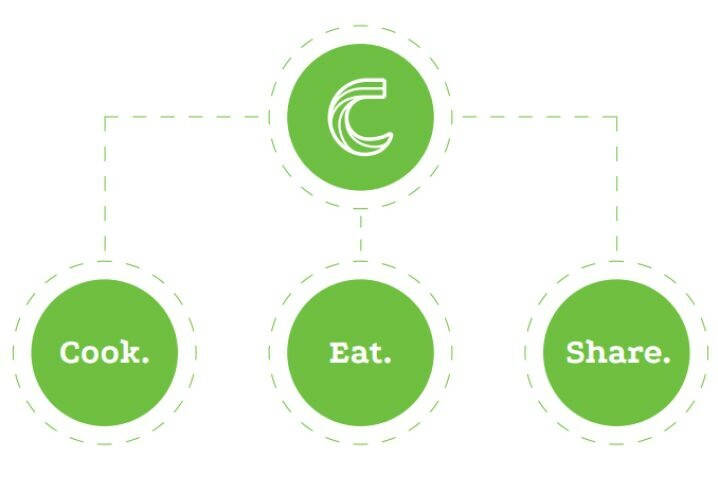 CookUp app will use CHEF tokens for transactions within its platform. They will be available for purchase within the application by credit cards, Ether (ETH) or other cryptocurrencies. The CHEF token will be based on the ERC20 standard (Ethereum token) and will be generated during the Token Generation Event (TGE) in the limited quantity of 630 million tokens. The CHEF token will be a utility token, listed on the most relevant cryptocurrency exchanges, and tradable through purchase and sale, so its value will be determined by the market. In the blockchain world, CookUp ICO is a crowdfunding campaign and anyone who is passionate about food is welcome to join. The ICO starts on May 5th as the first ICO organized by a Croatian company. 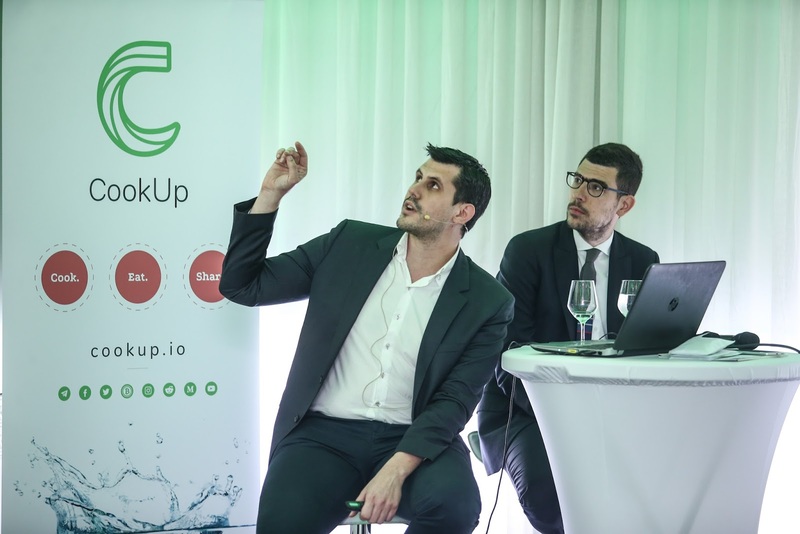 The CookUp team is made up of experts in blockchain, marketing IT, public relations, law, education, culinary advisors, and supported by the Croatian Association for Blockchain and Cryptocurrencies - UBIK. - One of our goals at UBIK is to provide support to Croatian companies interested in blockchain-based projects, helping them to succeed in Croatia. We strongly believe blockchain will become the standard within five years. There is no reason for this growing industry not to develop in Croatia where it could create more job opportunities, investments, and taxes going towards the state budget. Mint Media digital agency will pave the way for all future blockchain projects in Croatia, encouraging people and companies to work here at home, instead of moving abroad - said Vlaho Hrdalo, UBIK President and CookUp legal advisor. - Sharing economy and ICOs are changing our world. We want Croatia to contribute to this change and start this global revolution. Slovenia’s experience shows we are on the right track. The Slovenian cryptocurrency exchange is one of the most important in the world, employing 13,000 people in the blockchain industry and for the first time in 27 years, Slovenia has more people returning to live, work and invest in their homeland, than those who are opting to go abroad - commented Vlaho Hrdalo. CookUp has a number of advantages over its competitors exclusively thanks to blockchain technology - but the biggest are trust, transparency and availability. Transactions are transparent, secure, and automated, and implemented through a "smart contract”. User reviews are trustworthy and unchangeable while blockchain allows fully automated transactions towards a charity organization without involving third parties or paying bank fees. In addition, two billion people currently without a bank account would be able to use the platform. 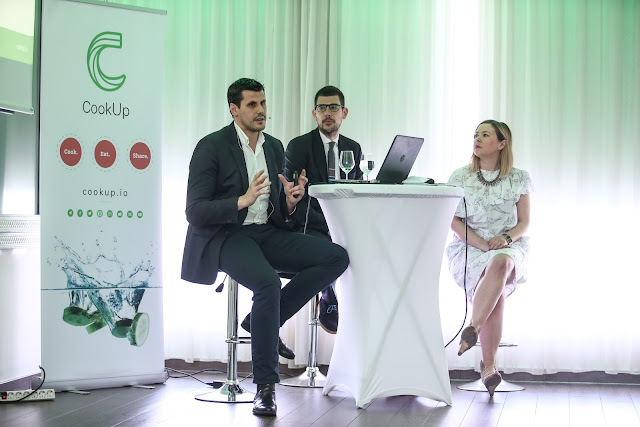 - The plan is for the Cook Up project to collect the funds needed for its development through the ICO and following the “go-to market” strategy create opportunities for new jobs and healthy eating habits, and help fight world hunger - said Ivan Ivušić, CookUp CEO. A minimum amount of 7000 ETHs is required for soft cap, while the amount of 22,500 ETCs (hard cap) provides the possibility of faster development, community building, and opening towards new markets. The ICO starts on May 5th, but you can join the Cook Up now! In the Proof of Care phase, you can share the project information on social networks and earn a bonus of up to 400,000 CHEF Tokens. All you need to do is register at cookup.io and share the project on social networks. The first cooking-specific ICO (Initial Coin Offering), enabling anyone who loves to cook to offer their services on the market. You can join Proof of Care by registering at cookup.io and sharing the project on social media, which can earn you a bonus of up to 400,000 CHEF Tokens. The ICO starts May 5th. Phillip Nunn, Vladimir Nikitin and Nikolay Shkilev, renown members and top influencers in the crypto community have joined CookUp team.